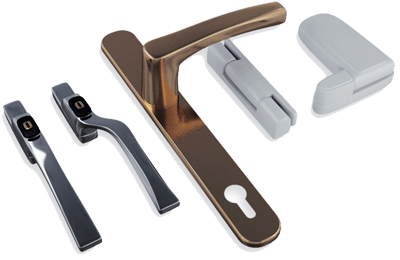 As leading international manufacturers of double glazed door and window hardware, Maco take a very great pride in not only the products they research, design and manufacture, but the service that supports their sale. In support of their market-leading Security Espagnolette systems, Maco have created a secure scheme to work in partnership with customers, fabricators and installers. Maco Secure guarantees the performance of their double glazed upvc window and door hardware against break-in through failure of our products. Should in the unlikely event of a break-in through the double glazed window hardware Maco Secure will re-imburse any insurance excesses up to a maximum. Founded in 1949 in Austria, the Maco Group are now celebrating over 60 years in the industry, driving the market forward and constantly pushing the boundaries of concept, design and production of specialised double glazed window and door hardware. With a track record demonstrating excellence both in engineering and concept they have earned awards and critical acclaim across the world. Nobody likes to dwell on the possibility and consequences of an intruder breaking into your home. Unfortunately, we live in increasingly insecure times. Investing in high quality security Maco products will give you the confidence that your double glazed windows and doors will not only look good, but that they will provide you with the best defence against forced entry for years to come. Careful consideration of the security of your property is the key to providing an effective deterrent against potential intruders, and Maco's continuing innovation of quality pvcu window and door hardware pieces, ensure that you will always be one step ahead in the fight against crime. All upvc window and door hardware undergoes stringent industry recognised testing procedures relating to security and corrosion resistance. Maco Shootbolt espagnolettes for casement double glazed windows provide a strong deterrent against break-in by means of a protruding shootbolt at each end and a combination of IS (Intelligent Security) locking cams along the length of the gearing. Coupled with specifically designed striker plates that lock the double glazed window shut and prevent jamming it open from all directions. Maco Hinge Protectors used in conjunction with the friction hinges further protect the window against attack. The Maco shootbolt espagnolette system for casement windows incorporates all the benefits of safety and security expected of modern double glazing upvc window technology in today's environment. They have been vigorously tested for high security and performance above the requirements of industry standards. For performance, they have been endurance tested to 40,000 operations and have been salt spray tested for 500 hours and have passed these tests every time. Maco IS (Intelligent Security) Tilt Turn systems provide exceptional security benefits by means of security mushroom locking points. Because of their mushroom headed design they lock into a channel on the striker plates sealing the window shut and at the same time preventing an intruder from jamming the window open in any direction. Your doors are an important method of securing your home whilst at the same time creating a great first impression. The right upvc door not only adds character to your property, but also provides you with the knowledge that you have made the best decision in protecting your family and personal possessions. In buying your new double glazed pvc door fitted with Maco hardware, you can take comfort in the knowledge that Maco are one of the world's largest and most respected manufacturers of double glazed door and window hardware.